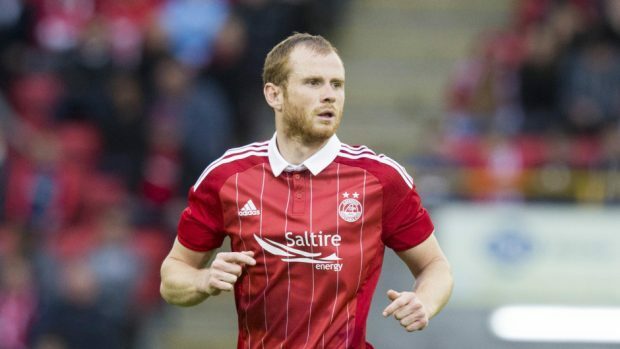 Aberdeen defender Mark Reynolds insists his club has proven it is the best of the rest in Scottish football. The Dons face a Rangers side chasing a third win against them this season when they head to Ibrox tomorrow but Reynolds insists the league table does not lie with his side about to split the Old Firm. The central defender said: “Rangers came up and the talk was about the title but they have to say that. “I don’t think they’d be allowed to come out in the press and say they were aiming to get into the top three or four and ease themselves back into it. “With the size of club they are that would never have been accepted but we knew what we had in our dressing room and we knew how hard it would be for them to step up a level. “It’s a hard league, every team gives you a tough game so we never took that as a slight on us or that they were saying they were stronger than us because we knew what we’ve got here. Reynolds insists his side is not feeling the effects of a long season as they head towards the finish line in the Scottish Premiership. With second place confirmation a formality due to Aberdeen’s superior goal difference manager Derek McInnes has prioritised the Scottish Cup final against Celtic on May 27 and will pick a team for the game at Ibrox and at Partick Thistle on Sunday with next week in mind. Reynolds, however, insists there is no fatigue kicking in at Pittodrie. He said: “The manager wanted to keep people fresh for the run-in and he has managed to do that. “As far as the players are concerned lasting through to the end of the season is a big goal for us, especially when we have been starting so early because of Europe. “But the winter break has been a massive help in that this year, we got 10 days off with the families and then went to Dubai for a week. “The last few seasons there was a bit of tiredness crept in at the end of the season but this year the winter break has changed that.